Uber’s free urban planning tool, ‘Movement’ has launched in Bengaluru after Delhi and Mumbai. In a study ‘Examining the impact of Metro on travel times in Bengaluru. Comparing peak travel times from Bagmane Tech Park in Byappanahalli to Kadugodi in Whitefield between January- March 2017 and January – March 2018. The study points to a 13.5 % increase in the morning peak travel time and a higher increase of 16.4% during evening peak travel time between the two periods. The study has found a significant difference in the peak travel during weekdays compared to weekends, with weekday morning travel time being 57% more than the weekend. Interestingly, the study also estimates that the average travel time in the first quarter of 2020 will be upwards of 57 minutes. “After a detailed analysis, the tool reveals that post the expansion of the metro line, there will be a 21% decrease in travel time between the areas near both ends of the metro route, hinting at potential solutions to incentivize multiple last-mile and first-mile connectivity options alongside the metro to smoothen overall travel times,” the study said. Besides a reduction in travel time, there will also be an expected reduction in stress, noise pollution and carbon emissions in the city, it adds. 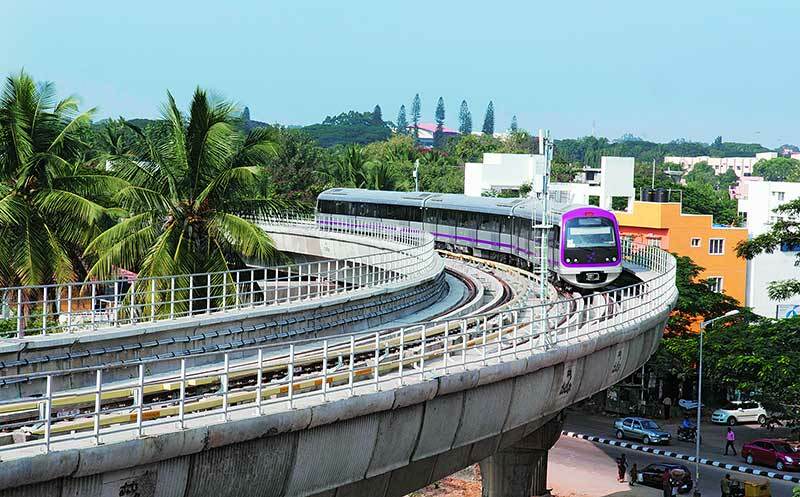 The under-construction metro project between Byappanahalli to Whitefield is expected to be completed by 2021-2022 Uber Movement, a data-sharing exercise on traffic patterns to improve urban mobility is expected to help government and city planners make informed decisions on infrastructure, urban mobility, and traffic management. “Uber Movement has the potential to further support informed policy decisions and strengthen a data-led approach to urban planning. In this era of big data, we can extract information around traffic trends and help measure the impact of extended metro lines, first/last mile connectivity options, traffic interventions, etc” said Rajeev Gowda, Rajya Sabha MP.